to stay up to date with our latest news and events. International strategic partnerships are central to the Foundation’s work in cross-cultural diplomacy and a number of these long-term relationships are with US cultural leaders. During October 2018, H.E. 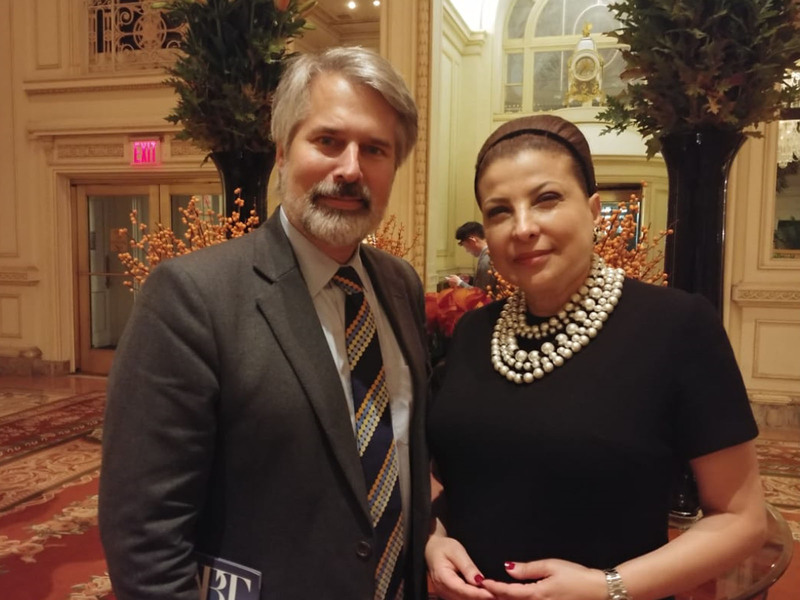 Huda I. Alkhamis-Kanoo visited New York and met with some of the Foundation’s collaborators, discussing news and taking time to plan for future work together. During the trip, she met with Russell Granet, Acting President and CEO of the Lincoln Center, Alvaro Domingo, Vice President of Operalia, Sir Clive Gillinson, Executive and Artistic Director of Carnegie Hall, renowned Emirati composer Mohammed Fairouz, Greg Scholl, Executive Director of Jazz at the Lincoln Centre, and Kara Medoff Barnett, Executive Director of American Ballet Theater.